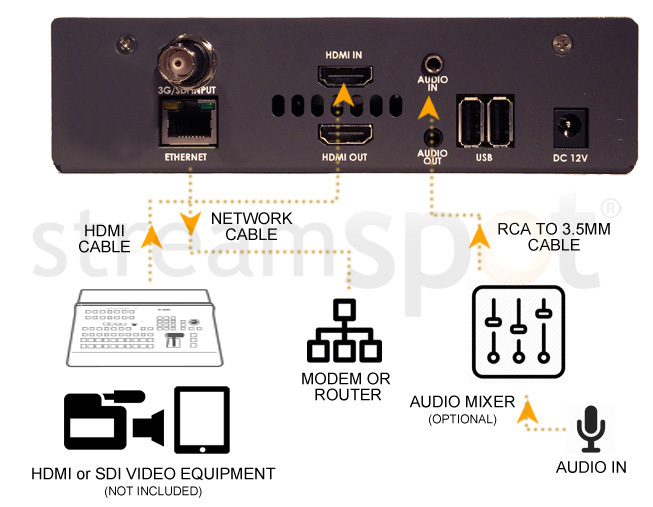 Description: Everything you need to produce high-definition live broadcasts. 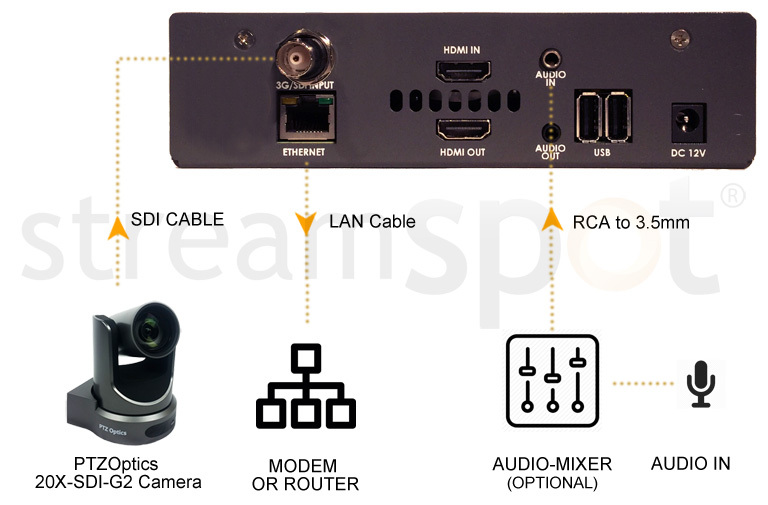 All equipment arrives pre-configured to your StreamSpot account, simply unpack, plug-in and stream! Interested? Ready to purchase? 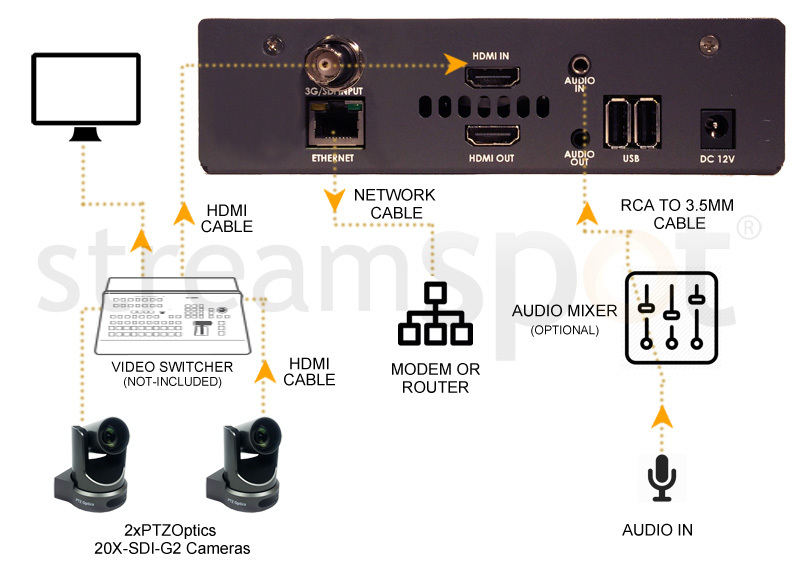 Please complete the form below and a streaming expert will contact you. We are here to answer any questions you have. Simply complete the form below and a streaming expert will contact you.